"The communication offered is fantastic. Well done!" When you order you get a special link in you inbox that you use to track all departments of your banner and shipping. From the factory to your door you can access everything. 1. Follow the progress of your order as it moves around the factory and to your door! When you order you receive a special link in your inbox that you use to track the various progress stages of production and shipping departments. 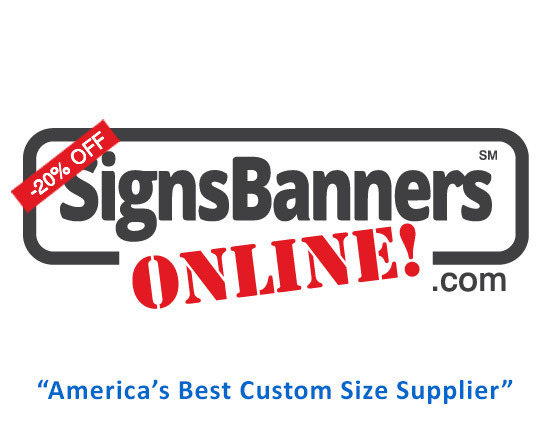 Signs Banners Online has many 'automated' systems ensuring your printing orders are better quality, faster, cheaper and can be self managed by you. 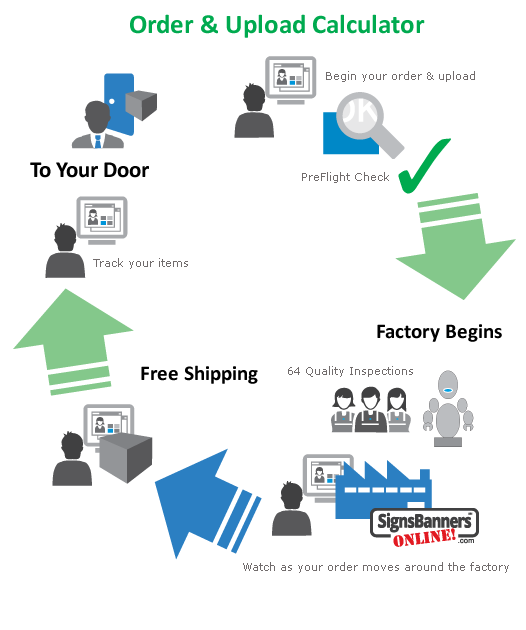 It allows you as a customer to watch aspects of the production stages and shipping movements all from the comfort of your desk. There is no delay. Using modern internet technologies and clever approaches, you do not need a login to order or track. Once your order begins, you receive an inbox message with a special UNIQUE IDENTIFIER page suited to your order details. If you prefer to communicate with us pre or post order you can reach out to the Factory Support Team here. You also receive direct SHIPPER access #Consignment Number + access website: you can use to follow your parcel delivery with the shipping/carrier company. T&C's apply as we do not make 'late' changes. Any late change requests are between you and the shipping carrier. The system is for those who want a quality product, being able to self-manage their orders and rely upon a successful trade relationship between a factory and themselves. Paid orders are automatically inserted and the printing, cutting, sewing and fitting stages begin. You can save -20% and more! All via one easy to use website, designers and buyers can manage all aspects of their large banner printing without waiting. IMPORTANT Your details are only used for shipping labels and details are not stored. The images displayed on the website are generic 'Let Us Design' department images to show you capability and production techniques. Trade and Wholesale images are never displayed. Excluding fittings and shipping labels, your orders arrive unbranded and confidential. "My owner is very happy. Thanks for making my job easy" Graphic Creatives NC. Free ship out to over 150 countries!